Clamp-on (spanner req'd) aluminium support / laptop arm with 30cm x 30cm swivel surface. 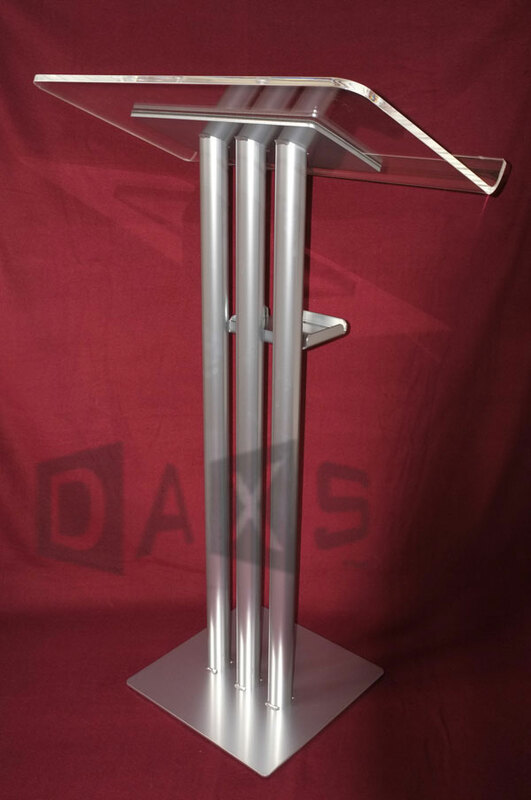 Suitable for DAXS and Trilite Ladder, Truss and Quad lecterns with 50mm dia straight tubes. Click image to see support arm on lectern. For the Premier Truss Lectern, a longer-arm version is required. NB. 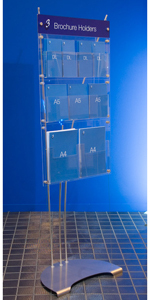 Depending upon usage, the lectern base may need additional weights or bolting down to maintain stability. 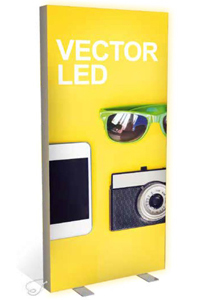 Availlable in natural aluminium, or painted black, silver or white to match your lectern.